ExtraGene ® plasticware products are manufactured from prime virgin polypropylenes. This result in tubes, strips and tips that exhibit a perfect balance between transparency, softness, robustness, antistatic characteristics and gas tightness. 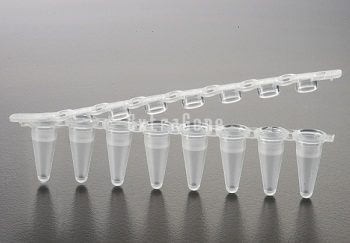 The PCR tube is manufactured from prime virgin polypropylene. Ultra thin wall design for efficient heat transfer. The PCR tube is compatible with standard 96-well heat blocks. 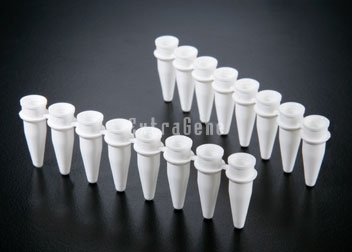 Ultra-Clear flat cap is ideal for fluorescent, luminescent and real-time PCR. E-mail:service@extragene-web.com Copyright © 2009 ExtraGene,Inc. All Rights Reserved.